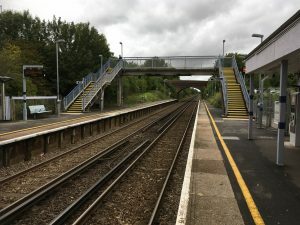 Aylesham railway station is one of 22 in the Southeastern Trains network which is to be considered for funding for new step free access. The announcement by the train operator earlier in December says the village station is among those nominated under central government’s Access for All scheme, which will operate during the rail industry’s next five year financial period. The scheme has a budget of £300 million to spend across Britain between April 2019 and March 2024. 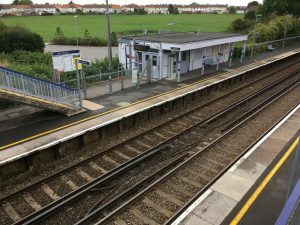 Back in September, Aylesham residents were asked to complete an online survey and give reasons why their local station should be upgraded. Across the south east, some 8,000 people took part, nominating a total of 107 stations. Southeastern, working with Network Rail, have now put forward a list of the stations which they believe have the strongest case. It was the largest exercise of its kind ever undertaken on the railway in south east London, Kent and East Sussex, says the train operator. The Department for Transport will consider the nominations it has received from across the country before making a final decision on which stations will get a share of the money. The successful ones are expected to be named in April 2019. The scheme covers the cost of improving stations without step-free access, enabling the installation of infrastructure features such as new lifts and footbridges, to make stations easier for people to visit friends, get to the shops or to work. Aylesham Parish Council Chairman Cllr Jo Cartledge said: “We had a great response from the community and this paid off. We are delighted so many people filled in forms and to have been chosen as one of the final 22. “Step free access would be a great asset here and enable residents from Aylesham to travel wherever they wanted without coming up against barriers. Disabled people and people with pushchairs shouldn’t have these problems in this day and age. Aylesham station has no step free access on either side. Wheelchair users wishing to travel to Dover, have to first travel in the opposite direction to Canterbury East, change trains there and return, through Aylesham, to reach Dover Priory. This becomes a journey of more than one hour to go only 10 miles. Justin Ryan, Southeastern’s accessibility manager said: “We always want to do more to improve the journey experience for our passengers, and have considered the huge number of nominations submitted for stations to be considered for accessibility improvements. “We’ve carefully judged those submissions to make a final list that has now been sent to government. Factors such as the strength of local feedback and the location of stations in relation to other, step free stations in the area have all been considered. Stations at Deal and Herne Bay are the only others in east Kent to have been included on the list.